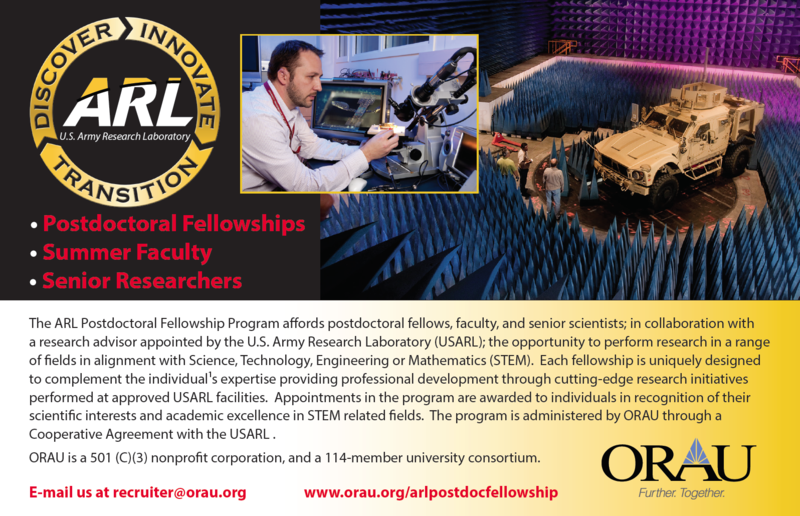 Welcome to the U.S. Army Research Laboratory (ARL) Research Associateship Program (RAP)! We look forward to you joining us to conduct research in support of the U.S. soldier. Your ideas, education, enthusiasm, and intelligence will add to the creativity and potential of the lab. This is an exciting time here. In addition to the research we do to support the future Army, we have the opportunity to support the soldier in the field. We have excellent, unique facilities and equipment, and top-notch scientists and engineers with whom you will be working.